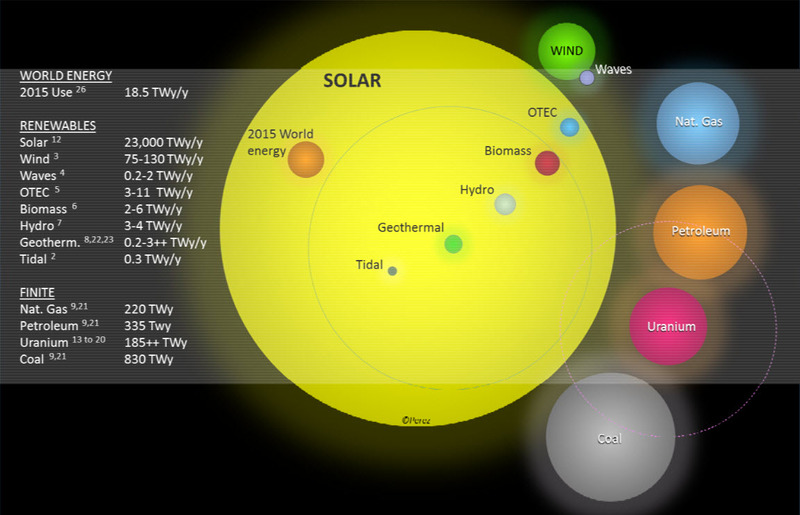 Richard Perez has updated his World Energy Reserves graphic to show higher wind potential as well as including high burn of nuclear – likely consideration of Gen 4 nuclear. There is something wrong with the definitions in the graph. The graph states for the world energy consumption 18.5TWh/y….